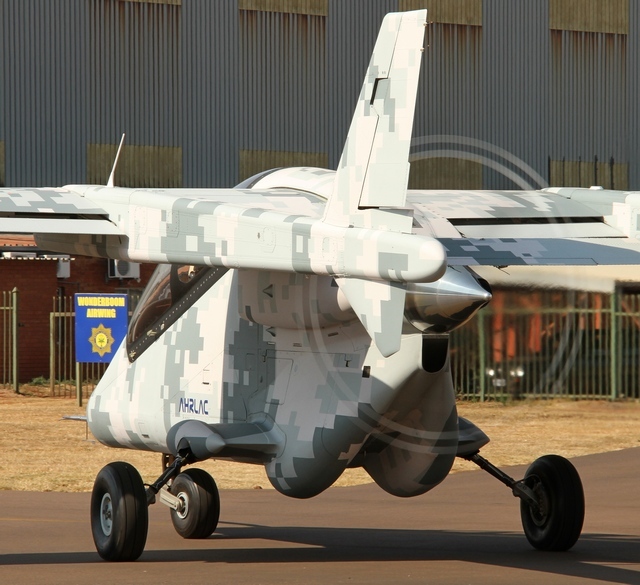 The South African designed and built aircraft ground breaking AHRLAC integrates designs from helicopters and current reconnaissance designs into a versatile multi role with low purchase and operating cost. 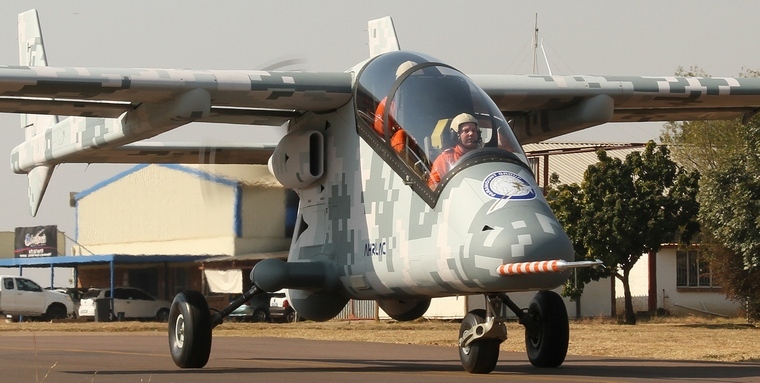 The Aerosud developed AHRLAC (Advanced High-Performance Reconnaissance Light Aircaft) has been relocated from the companies Centurion is Campus to Wonderboom Airport for the commencement of ground testing phase in preparation for its maiden flight. 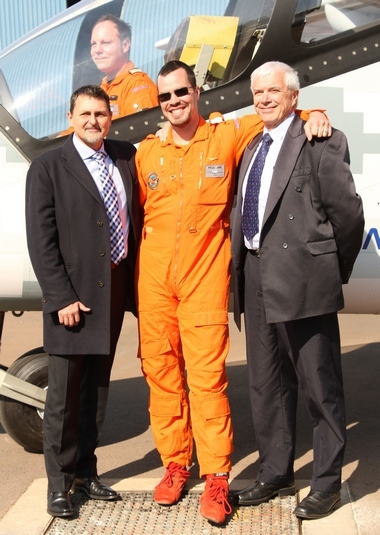 John Craig, Paul Potgieter Jnr and Dr. Paul Potgieter Snr. The AHRLAC projects was launched in September 2011 and the team completed the project in 315,000 hour. One of the most innovative aspects of the construction phase is that 98% of all 6,000 parts was designed and produced locally. All parts were designed by utilising the highly sophisticated Catia software which is also used by Airbus and Boeing. Unique in many respects the AHRLAC that offers maximum platform flexibility for multi-role applications has been designed for manufacture from the outset resulting in huge cost savings over conventional design practises. The fact that every single part of the aircraft was pre-designed on a computer allowed it to have a jig-less construction. This allows every part to fit together much like a Mecano set. To implement this sophisticated manufacturing process, Aerosud has invested in one of only two CMM (computer measuring machines) in the world. The only other CMM is located in the USA. To proof the concept a 25% scale radio model was constructed and more than eighty successful flights during which the full flight envelope was meticulously monitored were done. Dr. Paul Potgieter of AHRLAC Holdings described the AHRLAC as a versatile cost effective flexible multi role armed reconnaissance / surveillance aircraft. 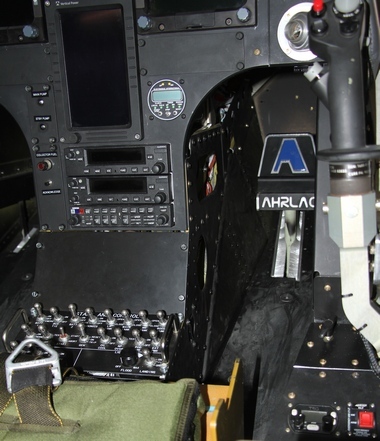 The AHRLAC's, when configured in the armed patrol and reconnaissance role, typical missions may include COIN operations, light attack, low intensity operational area support and close air support. Equipped with six weaponised flexible hardpoints it is able to carry a variety of armaments including guided weapons, smart bombs, guided and rail rockets as well as a 20 mm fuselage canon. 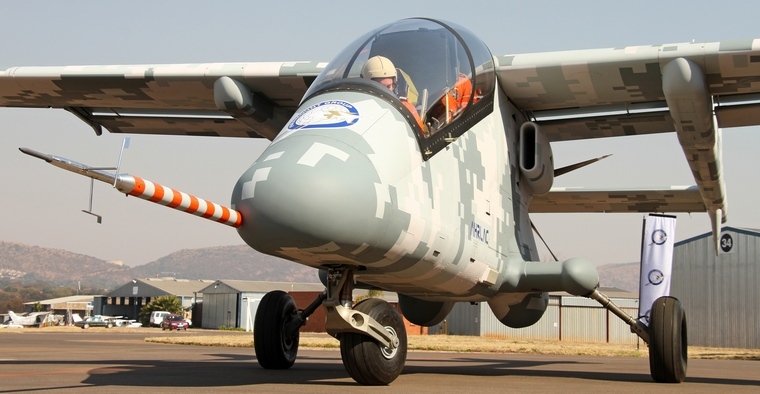 The AHRLAC will no doubt also find a market in the civilian sector in the anti-poaching and wildlife management role. As soon as the ground test phase is complete, the first twenty hours of the basic flight testing phase will commence. A mobile flight testing vehicle will be stationed in the area where the tests are conducted and the team will also have a Pilatus PC7 as a chase place at every flight test. Fitted with diagnostic equipment flight testing will continue for the full life cycle of the aircraft. A second prototype is currently under construction. The South African men and women who are spearheading the AHRLAC project are the vanguard of 21st Century engineering. They eat, breathe and sleep this project and it's fair to say that the project design has become part of their DNA. Their passion for the project has allowed them to create a unique solution for a modern world. Pusher configurations, high wing, twin tandem seat with flexible belly pod and retractable landing gear. 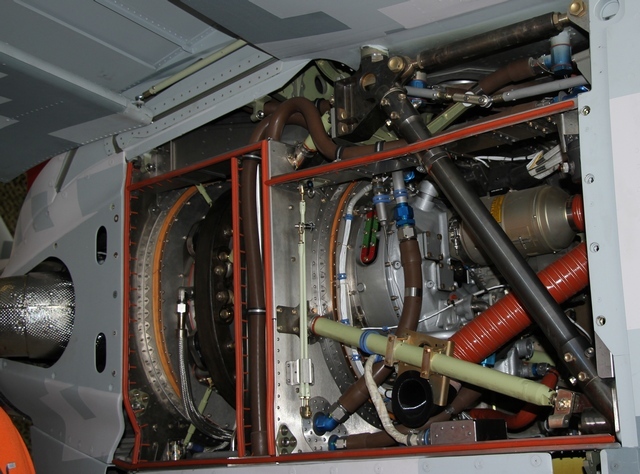 1 x Pratt & Whitney PT6A-66B 950 hp flat rated. Flir, SAR Radars, active and passive EW, ELINT/COMINT and various weapons suites.